Home Facebook (classroom and instructional uses) Facebook In The Classroom. Seriously. Do Popular Social Networking Applications Have A Place In The Classroom? A Growing Number Of Educators Say ‘Yes'. The post, “100 Ways To Teach With Twitter”, is one of the most consistently viewed article on this site. Similarly, “Facebook As An Instructional Technology Tool”, resulted in the 2nd most trafficked day here in 2010. While Facebook and Twitter are both hugely popular Internet tools, I still find myself a little surprised by the popularity of these posts, considering the academic perspective of this site. Many teachers, even those at online universities, are hesitant to use such popular tools, given their inherent risk of exposing students to inappropriate content. Of course these are two very different types of tools, but they both have their place in the social networking sphere. Facebook's place is at the top of the heap (as of this writing it is the second most popular site on the Internet, right behind Google), while Twitter defined the genre of ‘microblogging' (but much of its use is also in a social networking context). It appears that Twitter is more widely used in the classroom, based on the volume of articles about this topic that I have come across. One obvious reason for this difference is that Facebook is limited to ages 13 and over, while Twitter has no age restrictions. Facebook is also more likely to be restricted on school networks. Perhaps if teachers were more aware of how a Facebook page and profiles can be configured to provide an appropriate level of privacy for course work, they (and school administrators) might be more open to considering it's use (more on that below). Of course, there are also other educational scenarios that lend themselves more readily to a tool like Facebook, such as online universities and online courses. Here are a few of the examples of Facebook playing a productive role in the classroom that I have come across. I will be doing a presentation at Campus Technology 2011 in Boston this July about the use of popular social networking applications in the classroom and I will discuss examples like these, and others that I learn about in the coming months. Professor Gideon Burton's work with Facebook: I first learned about Professor Burton from student Kristen Nicole. She commented, “In my British Literary History course last winter semester, my professor created a class facebook group which we all joined. We’d finish our reading for class and then get online and write a paragraph about what we’d read, focusing our comments on the specific course aims that my professor had created for the class. We would then go to class where my professor would note the ways in which we’d covered the material well and he’d teach anything we missed as well as anything else he wanted us to know.” I collaborated with Kristen to write this popular post about this experience, and Professor Burton later weighed in and commented. Click here to visit a Facebook discussion group for one of Professor Burton's Early British Lit classes. Texas Kindergarten Teacher communicating with Parents via Facebook: Kindergarten teacher Matt Gomez wrote a couple posts on his blog, mattgomez.posterous.com, about his use of Facebook as a tool to communicate with parents. In this post, he explained that he had, “been toying with the idea of the page for several months. The main reason is Facebook has 500 million+ users. This is a tool that most parents know how to use and use on a consistent basis. Why struggle to make parents visit your website or blog when you can meet them in a place they already visit online?” In this post, he provides some observations about how it worked out. If you wish to learn more about how best to configure things in Facebook for use in a course based application, here are a few resources that provide guidance. 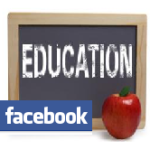 You may also want to watch these YouTube videos from “JayDsfsu“, which illustrate “The Basics of a Facebook Page for Educators“, “Privacy on Facebook for Educators“, “Setting Up a Facebook Group for Your Class“, and more. 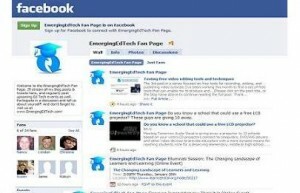 ARE YOU USING FACEBOOK IN THE CLASSROOM? Please be sure to let us know about it! In the next few weeks we'll continue this dialogue about Facebook, Twitter, and other social networking apps in the classroom, including some that are designed specifically for education. I'd love to hear, and share, your success story with these types of tools, so please don't hesitate to reach out, either in a comment below, or through the contact page. Thanks! Can’t Keep Up with Professional Development? Build Your Personal Learning Network (it’s Never Been Easier)! Do you use Facebook or Twitter in the classroom (or know someone who does)? Next articleWow, how cool is Dropbox? Thank you for sharing this impressive post. The information in this article is really helpful. keep sharing more. Believe it or not, I’m doing my doctoral dissertation on the Perceptions of Facebook by Community College Faculty. If you teach in the community college, and would like to be a part of my simple “survey monkey” questionnaire, please send an email to me at FacebookForTeachers@yahoo.com. Much appreciated!